Rene's Van & Storage Inc.
Rene's Van & Storage Division was established in 1945 by Rene J. Lambert and his wife. Over the years Rene's has set the standard for customer service in the moving industry and over 70 years later continues that same tradition. 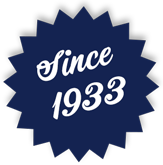 Since 1933 we have acknowledged the demand for superior moving and storage services and with our 85 years of experience we have met that need. Our professional movers have learned our specialized technique that has been passed down through generations and today is used on a daily basis. 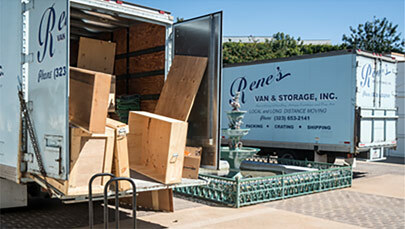 Rene's Van & Storage is the innovator in full service moving and storage. We are one of the first moving companies to specialize in moving and storing fine antiques, art, sculptures and one of a kind items. Over the years we have moved homes and businesses from 900 square feet to 56,000 square feet. Rene's also offers crating and shipping services nationwide as well as local pickups and deliveries. If you are in between homes or just need storage Rene's can help you at one of our locations including our 88,000 sq. ft. facility in Los Angeles. Our company also has on staff installation specialists for your high valued items and will work with you or your designer so your move is a success!